Museums are some of the most interesting attractions in Paris. While most travelers are aware of the famous ones, such as the Louvre, Paris also has dozens of smaller, specialized museums that are just as intriguing. The city of Paris makes it easy for visitors to sample a variety of different museums via its Museum Pass. The Paris Museum Pass is a two, four, or six-day pass that gives visitors access to more than 60 museums and monuments. The pass helps save money, and pass holders also avoid long lines at museum ticket counters. In addition, children under 18 can enter free with an adult pass holder. You can pre-order passes from the museum pass website and collect them at 25 rue des Pyramides once you arrive in Paris. You can also have them sent by mail to your home for a fee. Alternatively, you can buy the pass in Paris at several museums, including the Louvre, or select book stores. As of April 2011, the pass costs 35, 50 or 65 Euros, for two, four, or six consecutive days. That's a significant savings over paying full-price at the museums' entrance. No list of travel attractions in Paris would be complete without the Louvre. This massive building, a former royal palace, consists of miles of corridors and exhibition space. The Louvre's collection contains hundreds of thousands of masterpieces, ranging from primitive art and ancient Greek and Roman sculpture to Italian and French Renaissance painting and sculpture to 18th century Flemish, Spanish, and French painting. The most famous piece in the Louvre is da Vinci's enigmatic portrait, Mona Lisa. Don't try to see everything in one day, or even in one week; exploring the Louvre takes years. 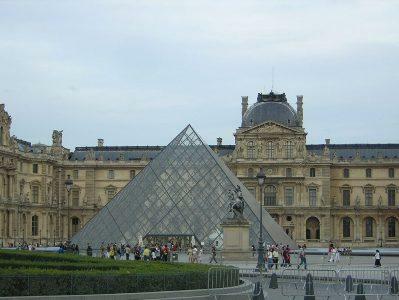 Located near the Seine in the first arrondissement, the Louvre is open from 9 a.m. to 6 p.m. and is closed on Tuesdays. The Orsay is Paris's tribute to French art from 1850 to 1900. It is housed in a magnificent Belle Époque former railroad station. The extraordinary collection of French Impressionist art includes dozens of works by Monet, Renoir, Cézanne, Utrillo, Degas, and many more. The museum's Art Nouveau exhibit includes a collection of furniture, art glass, jewelry, and various household items. Located on the Seine in the seventh arrondissement, the museum is open from 9:30 a.m. to 6 p.m., and is closed on Mondays. The Musée Rodin is an often-overlooked Paris attraction dedicated to the work of 19th century sculptor, Auguste Rodin, perhaps best known for his work, The Thinker (Le Penseur). The artist's rugged, moving, life-like pieces were created from granite, marble, clay, and bronze. The formal rose garden behind the house is an ideal place for an afternoon stroll. Located in the seventh arrondissement, this is a short walk from the Eiffel Tower or the Musée d'Orsay; the museum is open from 10 a.m. to 5:45 p.m., and is closed on Mondays. The Musée Carnavalet chronicles Parisian history from the 16th century through the 19th century. Previous Parisian eras come alive in authentic, carefully-reconstructed rooms representative of each era. The house itself, a 16th century mansion designed by Louvre architect Pierre Lescot, is magnificent with its floor-to-ceiling French windows, parquet floors, and massive marble staircases. Also located in the Marais district is the Picasso Museum. Open since 1985, this huge collection takes visitors through Picasso's work, chronologically, from the painter's early days through his blue period and on to his more abstract, later works. The museum also displays works by Picasso's famous friends, such as Georges Braque, Henri Matisse, and Joan Miro. The Picasso Museum is currently closed for renovations and slotted to reopen in 2012. The Pompidou is entirely focused on modern art and features an impressive collection as well as more than 20 exhibits each year. The building is also a striking modern piece of art. The museum is open from 11 a.m. to 9 p.m. everyday except for Tuesdays. Admission is free on Sundays. Located in the fourth arrondissement, this museum is a short walk from the Louvre and a nice contrast to the classical art seen there. Experience the middle ages at Musée Cluny. You can soak up the atmosphere of the middle ages in the medieval gardens. Open from 9:15 a.m. to 5:45 p.m., and closed on Tuesdays, you can find this museum very nearby the Sorbonne and the Jardin du Luxembourg. Cité de la Musique is a real treat for music lovers, with exhibitions of instruments and tidbits about music from all over the world. Located in the 19th arrondissement (northeast of the center), take the metro to Porte de Pantin to visit this museum open Tuesday to Saturday from noon to 6 p.m. and Sunday from 10 a.m. to 6 p.m.
Musée Galliera, the museum of fashion couldn't find a better home than Paris. With theme exhibits and pieces from the world's biggest names in fashion, this is a must-see for those who love aesthetics. Scheduled to reopen in the Fall of 2011, this museum is located in the 16th arrondissement, just across the Seine from the Eiffel Tower. No matter what your taste, there is a Paris museum waiting to impress you. Buying a museum pass is a great way to save, especially if you plan to visit a number of different museums during your trip. Even if you only visit two museums, the pass will quickly pay for itself. Whichever museums you visit, you will leave Paris with a new appreciation for amazing art.